A biblical archeology expert has said that the latest headlines of supposed new scientific evidence surrounding the Talpiot Tomb, a burial spot in East Jerusalem claimed by some to have once contained the remains of Jesus Christ and his family, are sensationalist and do not hold up to scrutiny. "I have been to the Talpiot Tomb and interviewed one of the archaeologists who excavated it in 1980. There is no evidence that Jesus or his family members were buried there, certainly not his supposed wife and son. Those behind this latest announcement traffic in sensationalism, not archaeology," Scott Stripling, the chair of the Humanities and Foreign Language Department at Wharton County Junior College, and adjunct professor at Belhaven University (biblical archaeology and English) and The Bible Seminary (church history), told The Christian Post in a statement on Wednesday. 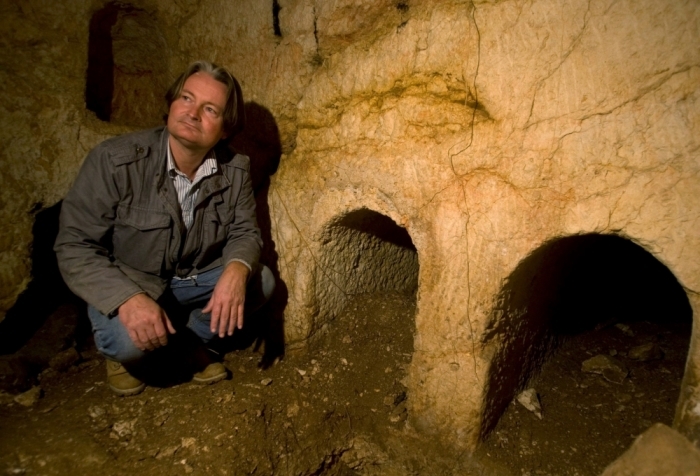 Geologist Arye Shimron has said that the burial spot in East Jerusalem, discovered in the 1980s, holds evidence to suggest Jesus of Nazareth was buried there, along with his wife and son — claims which contradict some of the central tenets of Christianity. "The evidence could not be stronger than what I have," Shimron told NBC News on Tuesday. "If you find a tomb with the names of the four Beatles in it in Liverpool, then you would say those are the four Beatles, not some other singing group from some other area," he said. The Jerusalem Post reported on Sunday that Shimron and filmmaker-journalist Simcha Jacobovici conducted over 150 chemical tests to reach a "scientific breakthrough with theological implications." The evidence Shimron presents revolves around a centuries-old ossuary containing human remains, and an inscription which reads in ancient Aramaic: "James, son of Joseph, brother of Jesus." Soil and mineral samples from the James Ossuary are said to match those found at the East Jerusalem tomb that contain the inscription of Jesus' supposed family, leading Shimron to argue that the ossuary came from the same tomb. Stripling told CP, however, that Shimron's claim is "irrelevant," since there has never been any doubt that the James Ossuary came from a tomb in or near Jerusalem. Gary R. Habermas, Distinguished Research Prof. & Chair, Philosophy Dept., Liberty University & Theological Seminary, also told CP on Thursday that the latest news is simply a repeat of old data from 2006. 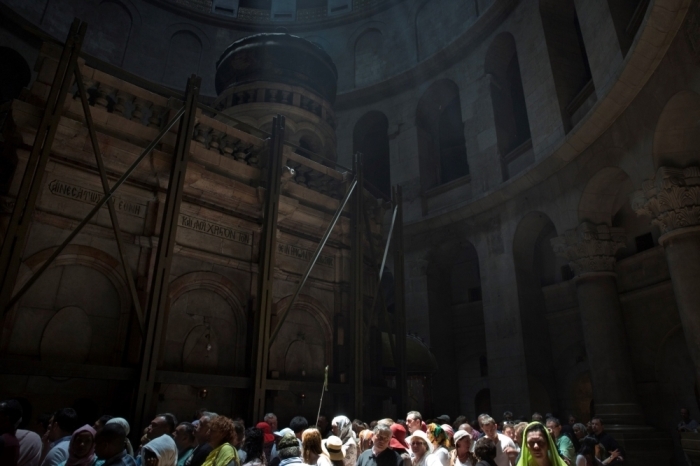 "But the conclusion that this is Jesus' burial tomb just does not follow by a mile. For example, the dirt sample is actually compatible with a wide variety of locations in the Jerusalem area," Habermas, who is also the author of The Secret of the Talpiot Tomb, continued. "As far as the exceptionally common ossuary names, Jacobovici himself, in a co-authored book on the subject back in 2007, estimates that there were more than 1000 men in Jerusalem during the time of the ossuaries who were named 'Jesus the son of Joseph'! Over 1000! There are dozens of more problems with this claim, but how many more do we need than this last devastating admission?" 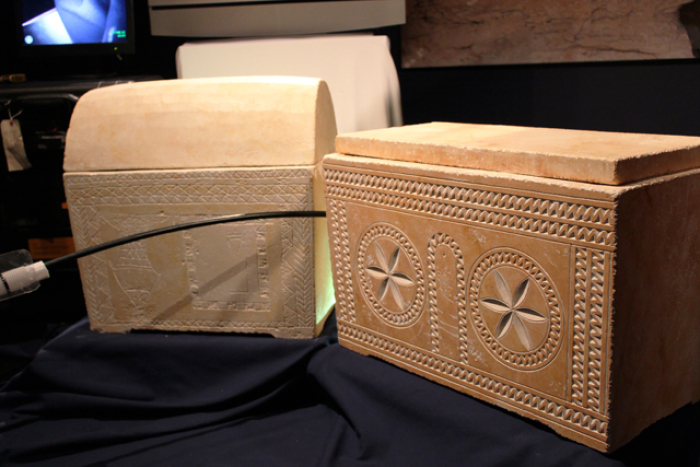 Jacobovici has maintained that the evidence is conclusive, and in a 2007 documentary claimed that the ossuaries containing the names Jesus, Mary, Joseph close to each other had once contained the remains of the biblical Jesus and his family. "There is no question in my mind that all the evidence, archeological ... statistical, and now chemical tells the same story," Jacobovici said about the latest discovery. "This is the tomb of Jesus of Nazareth and his family." Stripling insisted, however, that it would not have been uncommon to find such names together in that time period, and denied that this is solid evidence that Jesus had a family. "The argument set forth by the sensationalist producer Simcha Jacobovici that the names of Jesus' family, including his supposed wife, were found on the 10, or in the Shimron/Jacobovici view 11, ossuaries does not hold up under scrutiny," Stripling said. "First, some of the names are open to interpretation. Second, virtually every family in the first century had members with the names Jesus, Joseph, James, and Mary. There is abundant evidence which supports the Church of the Holy Sepulchure as the actual site of the culmination of the Passion of Jesus." 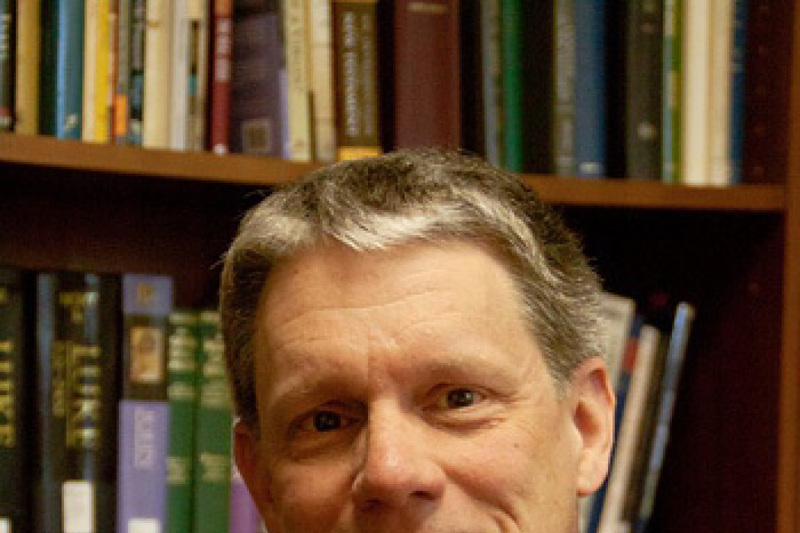 Other theologians, such as Ben Witherington, New Testament professor at Asbury Theological Seminary, have also said that names such as Mary were extremely popular at the time, and have disputed the conclusions presented by Shimron and Jacobovici.